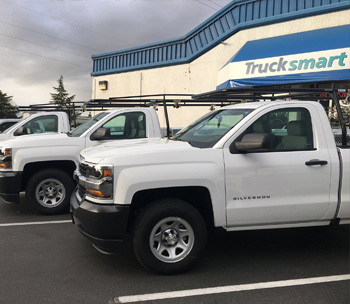 Trucksmart Truck and SUV accessories is the premier retailer and installer of accessories and equipment in the Northern California region. Over 30 years ago, the Brassfield brothers had a dream. With a passion for all things truck related coupled with a talented and experienced crew, Trucksmart has grown in to the areas most diverse and complete outfitter for all things truck related. From work truck toolboxes to lumber racks – bed covers and camper shells to tube steps and running boards – suspension aids and towing products… Trucksmart stocks it, sells it and installs it! The biggest suppliers in the country deliver to our stores on a daily basis so the accessory that you need is always available. We invite you to utilize our website for general information and of course visit either store for the best, hands on customer service!